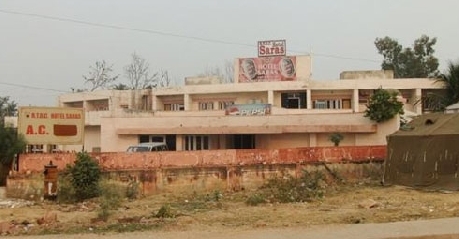 In the city of adventure and wildlife, Bharatpur, Rajasthan Tourism Development Corporation Ltd. (RTDC) has established a comfortable and the most affordable hotel named Hotel Saras for tourists and travelers. The name of the hotel is inspired from the charming Indian Sarus bird of the famous Keoladeo National Park of Bhartapur. Situated in a prominent location of Bharatpur city, the hotel is just 3 Kms away from the main Bus stand and Railway Station of Bharatpur. The hotel service has an expertise in providing safe and secure travel facility to their guests and also makes camping arrangements for caravan travelers. Well planned structure of the hotel has a lush green garden in the outdoor area. Other standard facilities of Hotel Saras include Internet, Email, Sight-seeing, Laundry & Dry-Cleaning and Car rental service. The hotel has contact with some well-known city doctors for anytime doctor on call facility. Hotel Saras has a range of 10 AC rooms with complete air-conditioned atmosphere and attached bathroom with 24 hour hot and cold running water facility. 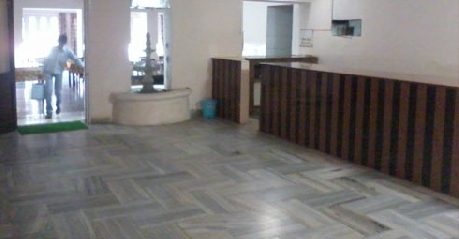 AC rooms are well maintained and have television in each room. For any assistance or facility, each room is fitted with telephone facility to call up the staff for room service. 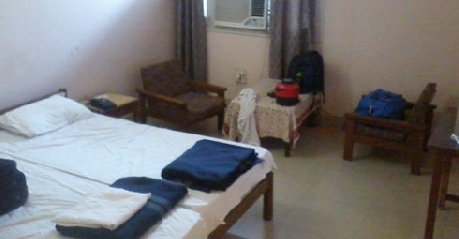 Another type of rooms which the hotel provides is of Non Air-conditioned environment with all standard amenities. Standard services like television, telephone service and bathrooms with hot and cold running water is kept same in each room like AC Rooms. The in-house multi cuisine restaurant of RTDC Saras Hotel serves delicious food from Indian, Continental and zesty Rajasthani cuisine. Being a govt. hotel, Hotel Saras prepares the yummy food in the most healthy and hygienic manner. Enjoy the finger licking food in Rajasthani ambiance. The hotel also has a quality drinks bar which provides chilling Rajasthani and Indian liquor & wine. Scotch and beer lovers can rely on the bar for anytime service as the bar keeps a good stock of Rajasthani and Indian liquor.